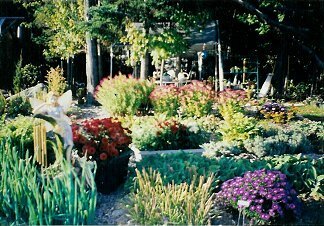 Fresh cut culinary, medicinal and spiritual herbs, potted herbs and native plants; beautiful display gardens. We have expanded our herb gardens so that customers may now pick their own fresh herbs, as well as selecting potted plants. We also supply local chefs with fresh herbs as they come into season. More than 200 varieties of herbs and native plants are grown on-site in a beautiful country setting, situated next to a 1000-acre wildlife preserve. Wander our display gardens: Children's Fairy Garden, Cottage Herb Garden and Botanical Sanctuary. Browse our greenhouse, or we'll provide a basket and scissors, and you can cut your own fresh herbs and flowers. Our friendly and knowledgeable staff are always on hand to assist you and answer your questions. Reserve the gardens for your Wedding, Retreat or meeting place for your group. Worth the drive 1 hour north of Concord, minutes from 89, Exit 17.